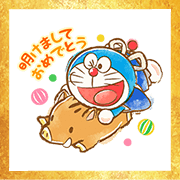 These Doraemon traditional Japanese New Year’s stickers are perfect for greeting your friends and family this winter! The soft and heartwarming Japanese design is just the thing for the cold winter months ahead. 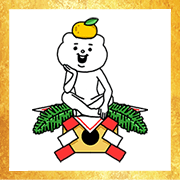 Omikuji lasts from December 27, 2018 to January 3, 2019. 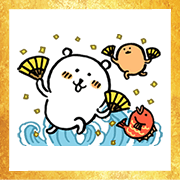 Joke Bear is here and ready to welcome the new year! 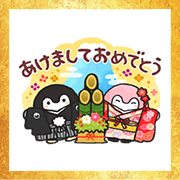 koupenchan is back with a set of stickers perfect for New Year’s! The gang’s all here and ready to help you celebrate in style. 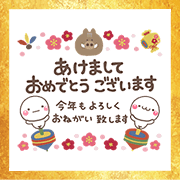 Omikuji lasts from December 27, 2018 to January 3, 2019. The always popular "A lot of cats." series returns with these new stickers designed to help celebrate the year-end festivities. 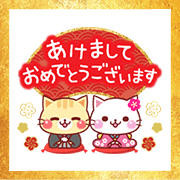 You’ll be the cat’s meow in all of your New Year’s chats! 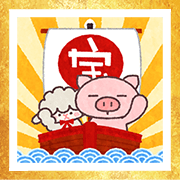 Butata brings his patented piggy power to help you get through the busy New Year’s season. These stickers are an excellent way to get the year started off right! 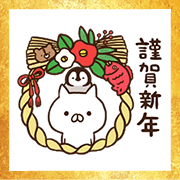 Omikuji lasts from December 27, 2018 to January 3, 2019.